I'm Not Much of a Goal Setter, but Here I Go! Happy New Year to all my readers. Welcome to a bright new year here at Sandy’s Story Chair. I hope you enjoy the stories I have for you again this year. The start of a new year is like a blank slate, and we don’t know what will be written upon it. Even if we don’t hold that winning lottery ticket, there are loads of things we can engrave upon it. 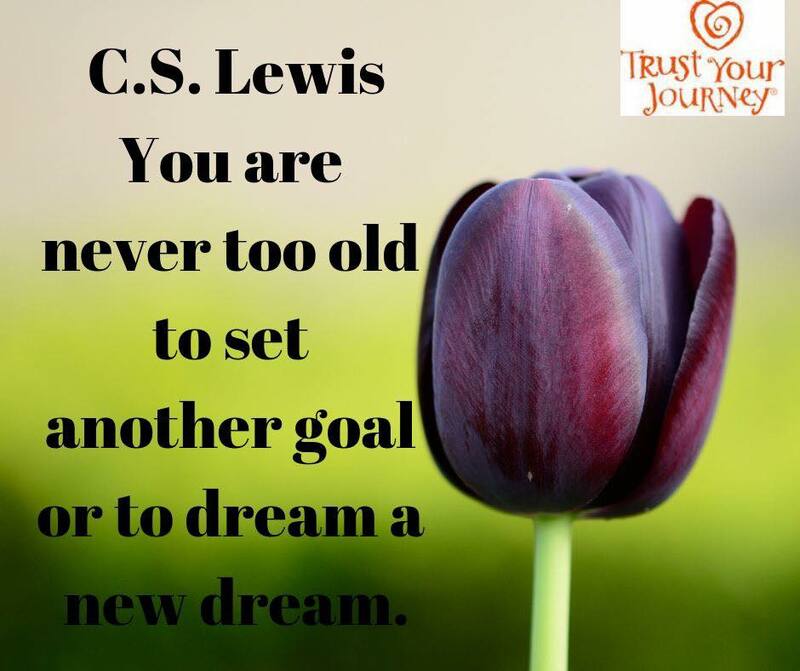 Please have a read, and then visit the other #Gr8Blogs linked at the end of this post for more smiles and inspiration. I’ll admit I’m not much of a planner. a bit like my writing, I tend to go with the flow and see where the road takes me. It is somewhat difficult to make plans at the moment with Mr B working overseas in PNG. He tends to have meetings all over the place and his plans are changed at a moments notice. I try to fit my plans around him to be available to catch up where we can, whether that’s in Port Moresby, here at home in Canberra or any other city in Australia. Makes things difficult at times, I have to be ready to fly somewhere at short notice, but that’s life for now and have laptop will travel. At least I can write wherever I go. So what are my goals other than trying to see hubby as much as possible? Finish editing ‘A Lighthouse in Time.’ Book 2 of the Adamson Adventures and send it to my publisher asap. The manuscript assessment came back between Christmas and New Year. It was so helpful, I can’t wait to get stuck into my revisions. With all the wonderful family visitors this time of year, I haven’t had the time to sit down and take it all in. I have begun plotting Book 3. The next Adamson Adventure is going to be a lot of fun. I hope to start writing it soon too. The decision on title has to be made, I’m torn between two, perhaps you can help me choose. Which title do you think a child would find more enticing? I am looking forward to seeing two of my short stories published in this years Creative Kids Tales Anthology. I had set myself the goal of writing 3 stories for this, but the 3rd won’t be ready in time. See, I told you I am not good at goal setting. I have to be realistic and face the fact I don’t have time to finish it before the Feb 1 deadline. The first story is titled ‘Save it For a Rainy Day.’ It fits the enchanted theme. A small child finds an enchanted star and hides it away for a rainy day until she needs it to do something special for her family. The second story fits the ‘Things that go Bump in the Night’ theme. Two brothers can’t sleep for all ‘The Thumping’ that is going on under the house. They seek to find the answer to all the noise and discover a wonderful surprise. That 3rd story, I have set myself the goal of making it into a picture book instead. I would like to see it published one day. Maybe not this year, but one year. Daisy Dewdrop is a little rain fairy that can’t manage to bring rain to the drought stricken farm alone. She goes off in search of a few essential friends to help. My PB ‘Penelope the Playful Platypus’ is finished and ready to be revealed to the world. My goal for her is to have her published this year. Whether my publisher takes her on or whether I Indie publish, she will be published. Penelope has a fantastic imagination and longs to play with other creatures in her habitat, but sometimes making friends isn’t easy and she must learn to accept not to be too quick to judge. I intend to travel to Bali this year with the hopes of doing a book tour with ‘Secrets Hidden Below.’ It has been well received by a book store chain there who does author readings and signings in their Seminyak store. I would like to see if I can add to that a few more places as well, including the International school in Sanur. I intend to continue to improve my self confidence in this writerly life by attending more conferences. 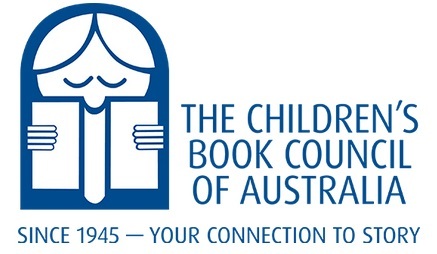 I have already committed to attending the second Creative Kids Tales Festival in Sydney in early April and will also commit to attending the bigger CBCA (Children’s Book Council of Australia) conference being held here in Canberra in June. Meanwhile I will continue to attend as many SCBWI ACT and CBCA ACT branch functions as possible. Late last year I was approached to be a guest speaker this year for the Romancing the Stars CBCA evening later this year here in Canberra. I might even stretch myself out of my comfort zone and do it. As for marketing, I hope to do more school visits, more market stalls. and find more places to sell my books. 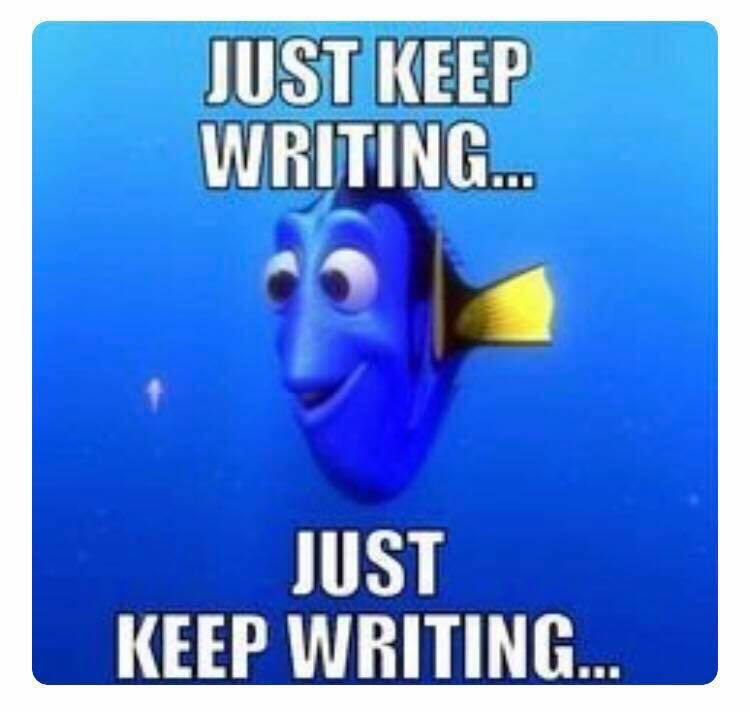 As we say in ‘Scribbles,’ the online writing course by the amazing Jen Storer, I aim to keep doing ‘the verk!’ One day I might even finish all the course work. Is that even possible? So I guess my word to set my goals for this year is ‘Focus.’ I need to stop procrastination and distractions and focus on all this amazing and exciting work ahead of me. Few! For someone who doesn’t like to set goals, there’s a lot going on here. I can’t believe how easily that all flowed out of me once I thought about it. Looks like a busy year ahead. Think perhaps I better add learning some time management strategies to that list. What do you want to tick off your bucket list this year? Please share in the comment section. Check the tyre pressure. Plug in your GPS. Dust off your road maps. We’re off on a family-friendly road trip across Australia, North America and Great Britain in this #Gr8tblogs Winter Road Trip 2018. My writerly friends and I are sharing insiders touring tips for your wintertime fun. I’m excited to guide you around my part of the world, Canberra, Australia. Then you can pop about the globe for more inspiring road trip ideas from other great bloggers, who are linked at the bottom of this page. 5 Things I love about Canberra. 1. Canberra, unlike other Australian Capital cities, actually has four seasons. Our temperature this time of year ranges from -6 Celsius to 12 C. So, if you come here June through August, be prepared to rug up. Even though our Summer can rise as high as 40 C, you can never quite put away your winter woollies, as you never know when a cold front will blow through. It has even snowed in October, our Spring! I love that with the change of seasons comes the change of colour in the trees. The streets are lined with deciduous and evergreen trees making a beautiful display all year round. I love that kids can shuffle through fallen leaves of amber in Autumn and blow wispy petals of white in Spring. In Autumn we have the Hot Air Balloon Festival that rise high above the lake early on chilly mornings, and Enlighten that illuminates the buildings around the Parliamentary circle in the evenings. 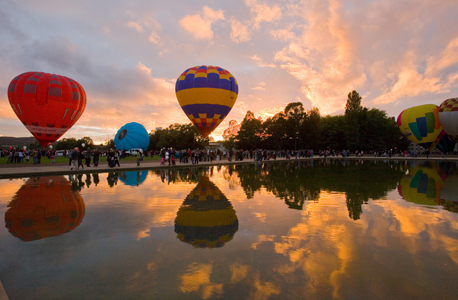 Both are ideal for those walks around the lake, while in Spring we have Floriade. A festival of tulips that blossom in arranged splendour to the delight of children and parents alike. Not so much happens in the depths of winter. Canberrans tend to either hibernate her head to the snow. Living in the hills just south of Canberra sometimes we are lucky to have a snowfall ourselves. It is one of my favourite times of the year. A Royalla Winter Wonderland, rare but beautiful when it does happen. 2. If you are a nature lover like me, there are plenty of walking and bike riding tracks in and around the city. You can do the bridge to bridge walk around Lake Burley-Griffin or settle for a shorter walk on the foreshore. If you are lucky you might even hear the bells of the Carillon on Aspen Island, chime. Weddings are often held on Aspen Island, including one of my sons and his wife. We watched in awe as she walked across the bridge while the bells rang out across the lake. The National Carillon on Aspen Island in the middle of Lake Burley-Griffin, playing a little something you may recognise. A wonderful place for a winter walk on a sunny day. 1. Nature reserves on the outskirts of the city provide ample opportunity for hiking and discovering native flora and fauna. 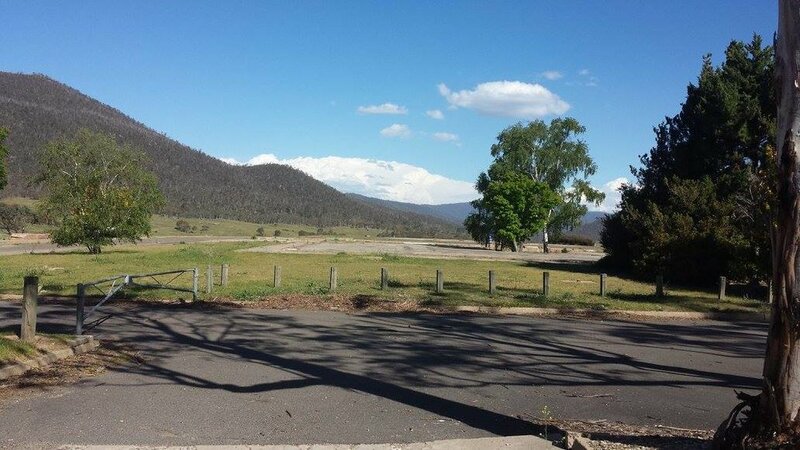 Tidbinbilla and Namadgi National Parks are ideal spots for picnics, day walks and even a bit of sight-seeing historical sites like the remains of the old space tracking station at the end of Apollo Road. Honeysuckle Creek Tracking station played a major role in many of NASA’s space missions including the 1969 landing on the moon. If your kids are interested in space they will love the drive out to explore this place. There is a beautiful picnic area, walking tracks and plenty of kangaroos to see as an added attraction. After that you can also take them on a tour of Tidbinbilla Space Tracking Station where they still hold all the memorabilia from the space race days. Remains of Honeysuckle Creek Space Tracking Station in Namadgi National Park. Orroral Space Tracking Station also in Namadgi National Park, both perfect for a picnic, walk and kangaroo spotting. 4. I love science and here in the middle of Canberra we have Questacon, the greatest hands-on science museum for kids I have ever seen. There is much to see and do in here. Plenty of experiments for the kids to take part in, ask questions, learn and explore. In fact, Canberra has so many places to immerse yourself in learning, there are too many choices. My favourites after Questacon, would have to be the National Gallery of Australia which features outstanding touring exhibitions such as the Cartier Exhibition, Turner, Monet, and many other brilliant Impressionists, just to name a few, and the National War memorial. Be prepared to spend hours wondering around the war memorial, it covers every possible conflict Australia has been involved in. Questacon The National Science and Technology Centre, on the shores of Lake Burley-Griffin. Floriade, held every September, (Spring) in Commonwealth Park on the foreshores of Lake Burley-Griifin. 5. One of Canberra’s best attributes to me, is its location. We are only a couple of hours drive south to the Snowy Mountains, east to coastal beaches and north to Sydney. This means ample opportunity for country drives on long winding roads discovering old country towns, with quirky gift shops, creative art & craft shops, antique shops and amazing little cafes. One of our favourite little restaurants is only an hour drive east of Canberra towards the coast in the old majestic country town of Braidwood. TorPeas is quaint and quirky, all gluten free and so welcoming it is like eating in someone’s home. On reaching the coast, my favourite beach to take visitors from overseas is one that is possibly the best kept secret. Pebbly Beach is part of Murramarang National Park just a 20 minute drive north up the Princes Highway from Bateman’s Bay. It is a quiet little beach, very clean, plenty of soft white sand, waves gently roll in, I’ve never seen the waves big enough to surf there, so it is safe for kids to swim, but the best draw card of all, is the kangaroos you will find grazing on the grass. They are so used to people they will let you pat them. To pat a kangaroo in the wild is not common, most will hop away, they are usually wary of humans, these fellows appear quite tame. The kangaroos on our property will not let us anywhere near them. Naturally, I would still caution anyone, to move slowly not to frighten them and do not feed them. Thanks for your company. Hope you enjoyed your tour around Canberra and the surrounding region. What are favourite road trip must sees in your corner of the world? Please share in the comments section below. We would love to virtual visit you too! If you blog and want to hop with us add a live hyperlink to your family-friendly road trip in the comment section We'll swing by and give you some blog love! As I am the only blogger in the Southern hemisphere, the other road trips are all Summer road trips. Click over to the next fun and inspirational road trip destination of your choice at any #Gr8tblogs below. Impressions of Papua New Guinea ... so far. It took a lot longer than expected, but I'm finally here. Below are four of my impressions of living in Port Moresby as an expat as I see it at the beginning of this journey. Some things may change in the next three years, some things may not. Life goes on wherever we are and we make the most of what we are given. The first thing I have learnt about this nation is that nothing ever happens in a hurry. I think living in the tropics makes people more relaxed. With the constant heat there is no need to exert yourself. There is no sense of urgency to complete a task. I remember observing my maid in Thailand. Before then I had never seen anyone sweep a floor with such carefree abandon as she did. Khun Nong made sweeping a floor look so relaxing. The Papua New Guineans make it look just as easy, they do not put in the effort that we do. Time here is viewed in a similar manner to the Indonesians. It's all about 'rubber' time, flexible, easily bent and of little concern. It's a bit like learning to 'hurry up and wait.' You tend to do a lot of waiting here. It took us a lot longer for work visas to be approved than we anticipated. In fact, to sum up the life style here, the Spanish have a saying 'manyana' meaning tomorrow or some unspecified time in the future. Here in PNG the meaning of manyana is similar, but does not convey the same sense of urgency. Even the cars are driven around the city at a snail pace as if there is no where in particular anyone has to go. Consequently traffic jams are amazing, cars manage to find their way into gaps that no westerner would attempt, but when driven at a crawl, it is no problem. This photo was taken back home in Canberra at the PNG High Commission on one of our visits to complete our visa applications. I touched on this in my original post when we first visited PNG before signing the contract. The gap between the 'haves and have nots' is huge. Consequently crime is rife and staying safe requires vigilance. When driving through the traffic we have been told to always be aware of an escape route. Leave a gap where possible to allow to do a u-turn and drive away as fast as you can if a rascal comes racing towards the car. Keep the car doors locked at all times and always be aware of your surroundings. Never drive anywhere at night and certainly don't think about driving out of the city without a driver who is a PNG National. As for walking anywhere, that proves near impossible too. I have two choices, a) the treadmill in the gym in the apartment complex or b) the path around the inside of the gated community we are living in. As I am used to my walks around the valley I live in back home, I prefer to walk outside, therefore so far I have chosen option b. I have been told it is not wise to leave the gated community on my own at any time. I have lived in a guarded compound before, we did it for two years in Thailand. The only difference was that I felt safe to leave that one, catch a baht bus and head down to Beach Road in Pattaya to go shopping. That's not at all possible here. Life is going to be that much more restricted. However, I'm sure once I meet a few other expat wives, life will become more involved in the community. In the photo below you can see the car park to our apartment complex. There are two sets of security gates to drive through before you are in. Even though there is an element that will choose to do harm for the chance to take a wallet, mobile phone or jewellery, the majority of people I have met have been nothing but friendly and courteous. Whether it's the guards at the gates, cleaners, gardeners or restaurant staff, they all say hello, and are keen to stop for a chat. We had a wonderful conversation with our waitress just last night at the Royal Papua New Guinea Yacht Club. Christine was a lovely quietly spoken young girl with pearls of wisdom beyond her age. When I commented that I probably shouldn't have had dessert as I couldn't really fit it in. Christine smiled and replied, 'dinner is for the stomach, dessert is for the heart.' I thought that was a beautiful comment. Although Pidgin English is their native language, they are all taught to speak English in school. It is with education that this nation will grow. Would I recommend Port Moresby as a place to come visit? Probably not. It is pretty much a developing country on Australia's doorstep, desperately trying to elevate itself from poverty, but I fear that is still a long way off. We did have a day out of the city on Sunday. A driver took us into the mountains to the Virartas National Park. The drive through the mountains was stunning. The road meandered through thick lush green tropical forest. The majority of the vegetation resembled the rainforests of far north Queensland. Our driver informed us that the road was built by the ANZACs during the war. He said WW1 , but I'm sure he meant WW2. If we had continued for another 35 minutes along the road, we would have reached the beginning of the Kokoda Track. One day I would like to walk part of the track, but it will be with security, or an expat tour, not just a driver. On our return down the mountain we visited the ANZAC War Memorial which was quite an emotional experience. Graves of fallen soldiers from Australian and New Zealand Armed Forces were in lines too numerous to count. Many tombstones bared the name and age of young men too young to die, it broke my heart. Many still, were unnamed. Lost souls buried in another country for fighting for our freedom. There were PNG soldiers buried there too. We have much to thank them for. If you have loved ones buried here or who fought here and managed to survive the horror of Kokoda, then perhaps a journey here is worthwhile. Port Moresby is only a 3.5 hour flight from Brisbane and if you appreciate war history, then this is a place worth considering. Have you ever lived in a gated community? How did you find life there? Would you want to visit Papua New Guinea? Do you have any questions you would like answered? I will do my best to find out. Here we go again, one last hoorah before retirement. Hubby and I are about to embark on one final adventure in a career that has taken us throughout South-East Asia and all around Australia. Last week we flew overseas to a neighbouring country to see where our next and final posting is most likely to be for the next three years. The new company wanted us both to have a look around the area before making the final decision to sign the contract. We have seen some incredible places during our working lifetime, yet nothing before had quite prepared me for this. I can certainly say that being married to Mr B, for 32 years has never been boring. Life has taken us on a wonderful journey of adventure and cultural learning. His first Expat job took him away to Indonesia for the duration of my third pregnancy. He departed when we had two point three children, yes I was just at the end of my first trimester with Alex, when he was asked to head to Jakarta and the Sumatran jungle. We made the joint decision that it was better for the boys and I to stay in Australia at that time. Our other two boys were only 2 and 5 years old. Mr B finally managed to returned to us just days before Alex was born. A year later, the Expat bug had nibbled his feet again and I found myself with seven weeks to pack up our house before hubby returned to help me move the family to Pattaya, Thailand for two years. That was one of the most memorable experiences of my life. The boys experienced growing up immersed in a fascinating culture while attending school in a multicultural melting pot of diversity. I was fortunate to pick up work teaching at the same International School which broadened my skills and knowledge to a level of experience I could never have discovered back home. We made many wonderful life-long friends along the way and made precious memories that will forever be in my heart and soul. Since then, work has taken Mr B in and out of Indonesia. We both learnt to speak Bahasa Indonesia, He, while immersed in the culture, myself, during two years of intensive night classes which helped qualify me to then teach Indonesian language. after also completing my Grad Cert in ESL/LOTE. In the years since our travels through South-East Asia and study of this unique culture that is on our doorstep, I have written a chapter book set in Bali full of adventure, history, culture and language. After many revisions, I hope to finally publish it this year. We've also had the opportunity to work all over Australia including Perth, Karratha and most recently two fabulous years in Darwin. Living in the Top End of Australia was akin to being an Expat. The tropical climate made it feel like Thailand again. The transient population of workers that flew in and flew out, or had short term contracts combined with the influx of tourists during the dry season all added to the vibrant and welcoming nature of the destination. We embraced the life-style, the people and the cultural diversity once again. As I write this, I find myself at the beginning of the latest chapter of our expat journey. This should be our final chapter before settling down on our beautiful little country property just outside Canberra. Where am I? As I look out of my hotel window I see a beautiful blue bay surrounded by lush green mountains. Immediately below me in the foreground I can see and hear the busy work of construction as a city prepares four lane highways, lays down pipework, and re-seals existing roads. Cranes and trucks beep as they reverse busily erecting apartments and business centres. It is a city of massive growth and excitement. The new convention centre is well on the way to completion in time for the APEC summit in November. There is a buzz in the air as people go about their day to day business in a constantly developing nation. Yet, at any time of day, the nationals are happy to stop, say hello and have a chat. It is a tropical climate once again, they are nearing the end of their wet season. by April there will be minimal rain then it will be dry until the rains start to arrive again in October. The only downside I can see so far is the fact that I am used to walking at least 5 Km every day. This will not be possible here. With my fair hair and white skin I tend to stand out in a crowd somewhat, making it not advisable to walk the streets alone during the day or night. There is an element of danger that an Expat must be aware of at all times. While the people we have met so far have been so friendly, there are those on the streets that will take advantage. After all, this is a developing country, wages are minimal, poverty is everywhere. The gap between those that have a lot and those that have very little is quite obvious. Everywhere we have been taken, shopping centres, restaurants, apartment complexes, business buildings and hotel, have all been heavily guarded by armed security and gates. Hopefully as the country develops this will diminish as economic growth brings prosperity to the region. Have I given you any clue as to where I am? Do you think you know? We fly home tomorrow, then it's a waiting game. We wait for work visas, medical reports and Mr B has to be accredited as a member of the IEPNG, all before we will be permitted to return. All being well, Port Moresby, Papua New Guinea will become our new home for the next three years. While Mr B will spend most of the time here, I plan to fly in/out, sharing my time here and home in Canberra. This Nanna can't miss out on the first three years of my new little grandson's life. It should be an interesting few years, full of cultural learning and diversity once again, all of which we embrace with open hearts and minds. Have you ever experienced life as an Expat? If so, let me know where and your thoughts on the experience in the comment section below. If not, if you could work in another country, which one would you choose and why? Looking Back at 2017: My Most Memorable Moments. What sort of year have you had? Has it been a roller coaster for you or perhaps more smooth sailing? Were there any Milestone events? Let's take a moment to ponder upon our happiest times and consider maybe a few of those not quite so successful days. In general I hope 2017 has been a good year for you all. I invite you to come along on a journey with me as my writerly pals and I share our most memorable moments in the Looking Back at 2017 Blog Hop. Please have a read of each our most personal reveals. Read mine here, then visit the other #Gr8Blogs linked at the end of this post for more look-backs. We hope you’re inspired to gather round with your family for a look-back, too. I'll never forget the moment my middle son and his wife presented me with a little surprise package. It was a Friday evening in early May. They arrived home grinning from ear to ear and placed a small black cardboard box in my lap. I had no idea what was going on or what to expect? Included were several tiny nappies, bibs and coveralls. They had been wanting this miracle to happen for quite some time. We had stopped thinking about it being possible for now as they had appeared to take on a different direction in their lives and began to concentrate on work and buying a home. You can imagine our surprise and delight! We have spent the remainder of the year preparing for the joyful event, as the card reads, 'Womb departure date, 1st January 2018." It's going to be one amazing New Year! The most precious gift of all, our gorgeous first grandson, and this Nanna couldn't be prouder. We moved onto our dream piece of land in 2007, 13 acres of sheer bliss. At the time we moved into a shell of a shed, a caravan and a port-a-l00. Over the years we gradually made the shed comfortable, (probably a little too comfy) and slowly worked away at building our dream home. Each year when someone asked when were we moving in? My reply was always the same, sometime before Christmas, but I never said Christmas of which year. 2017, ten years after the initial move, was finally the year. In October we finished enough of the house to be able to move in. It was such an exciting and triumphant moment to move our furniture in and not have to go down to the shed to sleep at night. A lot of hard work and love by all our family has gone into building our home, it feels amazing to finally be in! Yet somehow, so homely, just as I always planned, it also feels like we have always been here. There is still much to be done to complete the finishing touches. We still have no cupboard doors in the kitchen, or skirting boards and architraves around some doors, but that's ok. I'm a patient woman. I've waited this long, I can wait a bit longer. As far as my writing is concerned, 2017 brought me success in having two short stories accepted for publication in the Creative Kids Tales Story Collection. This was an amazing opportunity to be part of a collection of stories by so many wonderfully talented Australian authors and illustrators. The stories are varied in style and length, some are prose, some poems. Some are light and entertaining, others are humorous or thought provoking. The stories range from the really young reader to the young at heart. One of my stories is a poem for ages 3 - 6 years while the other is a short story for ages 8 - 12 years. As the collection was due for release in time for Christmas, both of my stories are Christmas themed. "Aster's Aussie Christmas" is a little poem penned to delight children from all around the world as they travel with my little alien in Santa's sleigh and discover all the wonders Australia has to offer. "A Whale of a Christmas Time," takes older children on a journey of discovery in a different way. As the maim character must learn to help save a pod of beached whales, readers will learn that giving is far more important than receiving. As I embarked on 2017, I had many plans when it came to my writing. I had stories set to publish, marketing plans, school fetes and visits to organise. Sometimes life gets in the way and even the best intentions and plans don't always see the light of day. I'm OK with that, it's been a busy and amazing year in so many other ways. At least it gives me time to ponder those stories a little longer, revise, edit, and revise some more. Who knows, perhaps 2018 will be the year? Thanks for stopping by! How was YOUR 2017? Please share in the comment section. For more Look-Back moments, visit the #Gr8blogs below. If you’d like to join us on this hop, add the family-friendly link to your blog in the comment section. We’ll visit and give you some blog love! Imagination and Realism Combine for a Fabulous Learning Opportunity. One of the great advantages of becoming a children's author, other than the obvious, which is kids reading my stories, is that I get the opportunity to meet other amazing authors from all around the world. I feel I am so lucky to be asked to read and review their stories and help spread the word about their wonderful children's books too. Last week I brought you 'Sweet T and the Turtle Team' by Cat Michaels. This week, I am pleased to tell you all about 'Doonsey Returns - The Great Rescue, Part 2' written and illustrated by Rhonda Paglia. It is summer in America and both authors have timed their new release perfectly for summer holiday fun reading at the beach. Down Under we can at least dream of lazy warm days at the beach and reading these stories with our children or classroom students to help keep those memories alive. Doonsey Returns is perfect for the little ones in your family. We have all made sandcastles while at the beach, but have you made other sand sculptures? Rhonda Paglia takes this fun and creative idea to make "Beach Buddies" that are decorated with items that children find all along the beach. Seaweed, shells, even fishing bobbers (we call them fishing floats) are just a few decorations that enhance the buddies and help them come to life. While reading this cute and creative story children come to realise the importance of keeping the beach clean. There are two basic problems to be solved. The first in finding the sand made beach buddies, the second in helping a very real, very different kind of beach buddy. I read this story with a neighbour's son who was delighted to find what arose out of the sand. No spoilers here! Suffice to say his face lit up when he realised what had been buried and then came crawling out of the sand. Keeping these little creatures safe is the second issue that needs solving. This idea brought a wonderful discussion of possibilities and a writing exercise during our tutoring session on what he would have done in the same situation. He was fascinated by the facts in the back pages, the glossary and the photos of sand sculptures. The illustrations are simplistic but adorably cute for little ones. I thought the inclusion of realism along with the cartoon-like characters made for a fabulous way of relating the story with children's knowledge of beach settings. It opens up even more opportunities for discussion as children can relate their own memories of holidays at the beach. Another awesome story from author "Grammy Pags." Packed full of fun, imagination, creativity and learning. Teachers and parents couldn't ask for anything more. I recommend this book for children 3-8 years, as there is so much you can take away from it. I give Doonsey and her Beach Buddies 5 out of 5 star(fish). What if we are not alone in the Universe? The other day I saw a post on Twitter that it was #World UFO Day on July 2. I couldn't resist asking the question, do you believe in aliens? What if we are not alone in the Universe? If you know me or my writing for children, you would know I like to play with this possibility. After all, with the size of our Universe or (Multiverse, depending on your point of view) I don't believe it could be plausible that we are the only inhabitable planet with intelligent life forms. I'm not here to delve into the specific science of it all, I'll leave that to astrophysicists that are for more knowledgeable on the subject than myself. Suffice to say, as a children's author, I kind of like the idea of friendly little aliens that come to visit. If we are not alone, and if we were ever visited by aliens, surely they would be inquisitive and friendly. It makes sense that a life form that has evolved the technology to travel in time and space long enough to reach us, would also be a peaceful race. They would have to have evolved to a higher level of co-operation and understanding to reach such a level of intelligence far beyond what we as humans, know and understand today. Any budding young scientist will know the disastrous mess that would have occurred in this scenario. Not only does the book provide teaching opportunities for research into space topics but all sorts of amazing science projects. My books may be full of laughter and imagination, but they also include great learning opportunities through STEM projects. Both the alien, the idea of UFO's and Mrs Witherbottom return in the third book in the series, Alien Milkshakes. What has caused the crop circles on the school oval? Can the Bradberrie brothers keep the alien a secret and help him repair his spaceship before Mrs Witherbottom discovers the truth behind her missing vegetables from her garden? All will be revealed when the book is released later this year. 'The brothers were so busy helping Aster and listening to Simon's tale that they didn't hear the footsteps coming towards the side fence in Mrs Witherbottom's yard, or hear the little step ladder that banged against the fence. It wasn't until they heard an unexpected voice call out that they all jumped. The three boys turned to see who was there. In the meantime, I have also written a short story that has been accepted for inclusion in an upcoming children's story collection. I have taken the idea of my friendly and mischievous little alien and combined it with my Australian animal picture books, to produce a short story where my alien travels around Australia with Santa in his sleigh on Christmas Eve. He sees some incredible sights and meets a few amaing animals along the way. koalas in the rainforests, it was all an incredible sight. The possibilities of friendly little aliens visiting from other worlds are endless. My children's books encourage a fun enjoyment of reading and learning. Children have amazing imaginations that can be engaged in incredible creative thinking given the opportunity.My books are a gateway to discussions that may produce that critical thinking. It is up to us to foster their imagination and creativity so that they may become our future inventors who will develop technology far beyond anything we can produce today. Kids love the idea of aliens, (especially little mischievous ones), do you? Are we alone in this huge universe? What do you believe? The ebook copies are all available on Amazon except for Alien Shenanigans, sorry I've still not managed that. I hope to have Alien Milkshakes released before the year is out, and my short story, Aster's Aussie Christmas will be in the CKT Story Collection to also be released before Christmas. Each year whales migrate up and down the length of our Australian coastline, both east and west, in their search for warmer breeding grounds. People flock to our shores during migration season in the hope to catch a glimpse of these magnificent mammals. I admit, I have been among them, both viewing from on-shore whale watching platforms and boats that take you further out to sea for a chance of closer encounters. I have watched a mother and calf at play in the safety of the bay at Warrnabool in Victoria and I have watched a pod migrating beside our boat from the far north-west coast off Broome, in Western Australia. In my recent blog journey I discussed our travel across the Great Australian Bight at the bottom of Australia as I searched for whales. They didn't disappoint, I found them off the south-west coasts of Esperance and Margaret River. Unfortunately, every now and then we hear about a pod of whales that has beached on a coastline somewhere around Australia or New Zealand. Then the nearby community subsequently spend hours in frantic attempts to rescue as many lives as possible. This gave me the idea for a story about a young boy living in such a community and his realisation of the importance of lending a hand. While writing my short story 'A Whale of a Christmas Time' which will be included in the upcoming CKT Story Collection, I researched possible reasons whales may find themselves beached. I discovered several surprising possible reasons. No one can say for sure which one is correct or if they are all true. However, it is worth being aware of all of them, just the same. A whale may have trouble detecting a sloping sandy beach with their sonar and before they know it they have come too close. In this case the whale would panic and accidentally beach themselves as it would be too late to turn back in the ocean current. Other Whales would subsequently beach themselves when trying to come to the aid of the first whale who has already made the mistake and would be sending out a distress signal. A whale may be sick, have some kind of disease or be injured and may come into shallower water for refuge to heal and then become trapped in the changing tide. As social creatures, the rest of the pod will follow as they refuse to leave their sick or injured family member. The pod could be foraging for food or chasing prey and come too close to shore, then find themselves stuck in the incoming tide. Seismic underwater activity ie earthquakes, change in weather conditions, disease, unfamiliar underwater topography or magnetic field irregularities in which the sea floor spreads,, are all possible causes of disruptions to their sonar and would surely cause confusion. No matter the reason whales find themselves caught on-shore, as long as communities continue to do everything humanly possible to prevent these horrific events as well as help these magnificent creatures when the inevitable does occur, we can't ask for anything more. Watching whales majestically swim safely out to sea unharmed is one of the greatest sights I have ever experienced. Have you ever had the opportunity to witness a whale and her calf playing in a bay, breaching the water as if waving to you? It's a beautiful sight. Tell me in the comments below where you were and how it made you feel? If you are interested in reading 'A Whale of a Christmas Time,' subscribe to my newsletter for up to date information on the release date.